Not long after the "poker boom" of the mid-2000s created untold numbers of new poker players, many of whom got their introduction to the game by playing poker online, those who began with no-limit hold'em began gravitating toward other variants in search of new challenges and added action. For many of these players, pot-limit Omaha was a first option, with PLO fast becoming many players' second favorite poker game to play — or even their favorite. Nicknamed soon after its introduction back in the 1980s as "the action game," pot-limit Omaha encourages action for multiple reasons. For one, the pot-limit betting format enables more postflop play than is the case in no-limit hold'em, including (in some games) more multi-way pots. Also, many players — especially new or "recreational" PLO players — are seduced by the fact that being dealt four cards from which they choose two to make a hand, every PLO hand seems somehow playable, both before the flop and (if the hand connects) after the flop. That, too, obviously adds more "action" to the game. However, as poker pro Ryan Laplante points out in the video below, that's not really how winning PLO players approach the game. 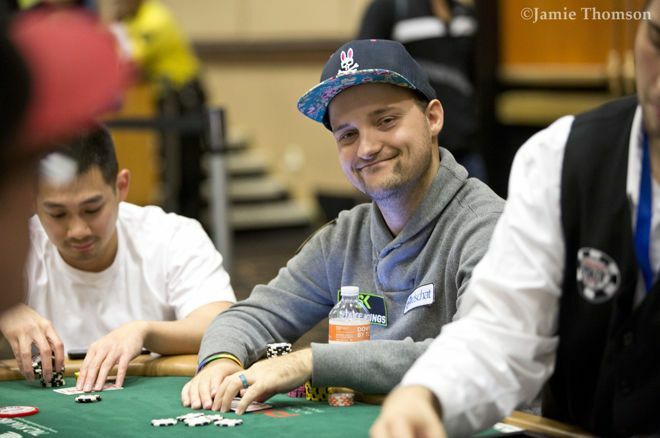 underappreciating the value of a wrap, which Laplante notes can be "as good or better than flopping top set"
The theme running through Laplante's advice is for players to use more caution in PLO than many typically do.